Whether your e-liquid priority is taste or variety, VaporFi has you covered. Our vape juice comes from food-grade ingredients, so our flavors are smooth and consistent. Start with some of our favorite options in the Reserve Collection, but don’t forget to check our fruit and dessert flavors before you’re done. Vaporfi e juice flavors are quality-tested and user-approved. We encourage you to customize your flavor profiles with our DIY vape juice builder. No matter your preferences, we have the e-liquid you're looking for. We’ve got 30,000 options for you to choose from - no two custom blends are alike. Bet you can’t try them all! 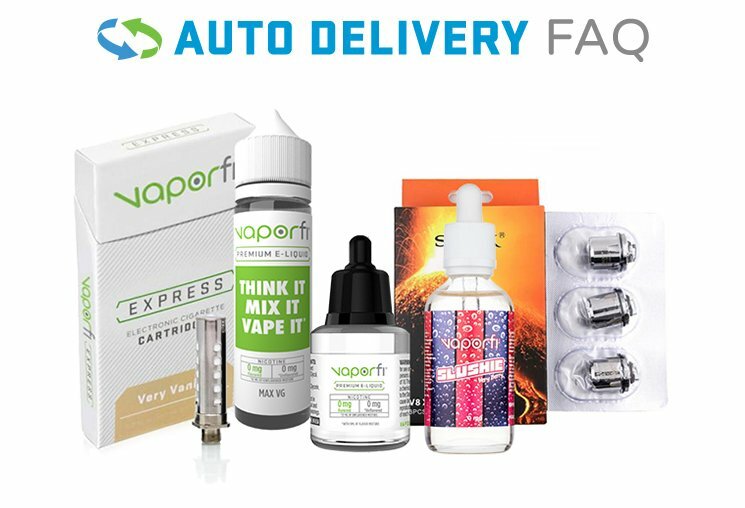 Why Buy E-Liquids from VaporFi? Craving something to satisfy your sweet tooth? VaporFi has no shortage of craving-worthy e-juices, whether your taste buds lean towards rich and sweet or sour and tangy. Start your morning on a sweet note with a breakfast-inspired blend with options like cream-topped waffles, caramel-infused lattes, or fresh fruit smoothies. Later in the day, enjoy a post-lunch dessert that’s 100 percent guilt-free with fluffy clouds that taste like ice cream, a fresh donut, or your favorite gummy candies. If sweet’s not your style, you’re not left out of the fun. We have plenty of flavor options for the vaping traditionalist, including rich tobacco and crisp menthol.